Hello and Good morning all! Really excited to have joined an incredible group such as this. I am currently looking to upgrade my dual exhaust on my 1971 351c 4v and would like to gather some ideas on kits, brands that you love and highly recommend! Welcome. A lot of guys on here are running the Pypes kit and had good luck with them. Personally I tried it and didn’t like the fit so I returned it and had a custom exhaust shop install mine. The guys car I’m working on now just had his exhaust done by same shop as me and it turned out great. $700 out the door. Drop it off in the morning pick up in afternoon. Can’t beat that. 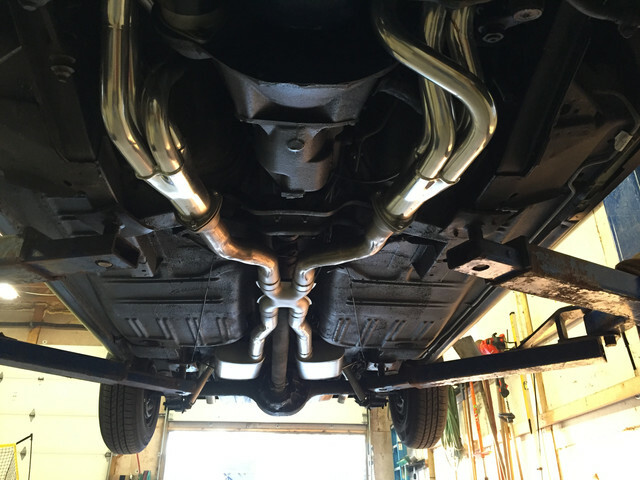 2.5” stainless With X- pipe and Flowmaster mufflers. 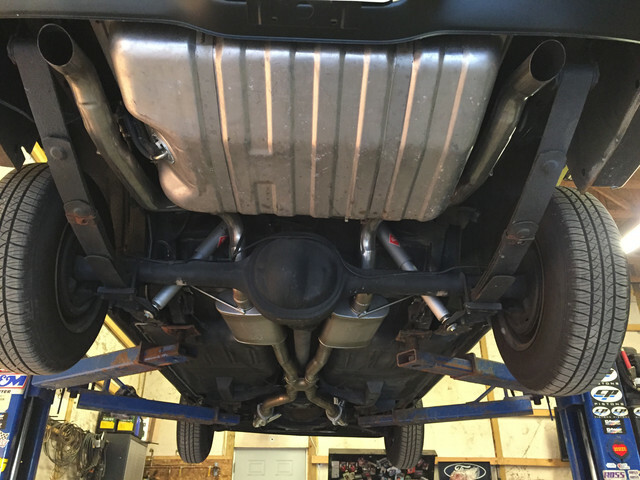 I believe it was Don at Ohio Mustang Parts that steered me to Precision Exhaust for an OEM style exact duplication. He has a Boss 351 NOS system that he uses as a pattern. Bolts up great, great customer service, factory exhaust hangers used. I am happy, but then I am not on the road yet. I agree with turtle too. A local exhaust shop can put a nice set of pipes under there and guarantee fit and no leaks. Makes the job real easy! (03-23-2019, 09:37 AM)turtle5353 Wrote: Welcome. A lot of guys on here are running the Pypes kit and had good luck with them. Personally I tried it and didn’t like the fit so I returned it and had a custom exhaust shop install mine. The guys car I’m working on now just had his exhaust done by same shop as me and it turned out great. $700 out the door. Drop it off in the morning pick up in afternoon. Can’t beat that. 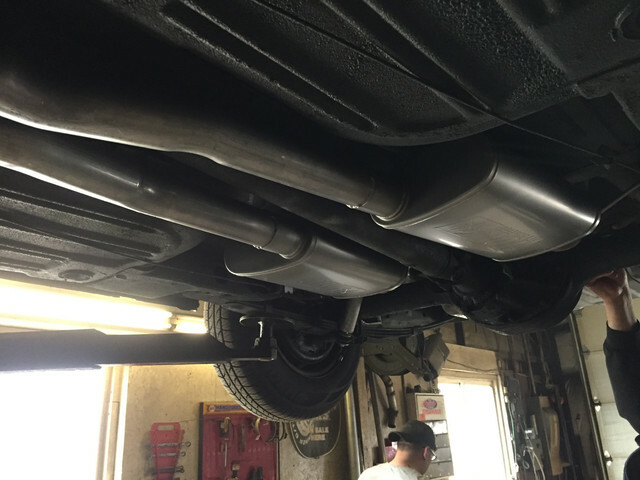 2.5” stainless With X- pipe and Flowmaster mufflers. Hey Turtle, that looks great! gonna look into that route, thanks for the tip! !